Runtime: Weds. & Thurs. 22:00 (2 episodes back-to-back) time slot previously occupied by "Your House Helper." 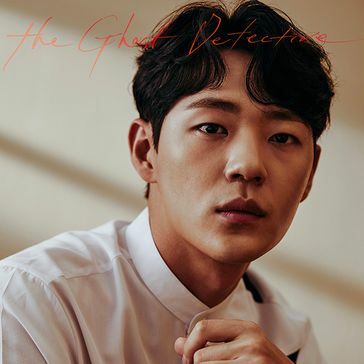 Today`s Detective is a horror thriller drama in which a ghost detective and a human assistant meet a suspicious woman and fall into bizarre events. 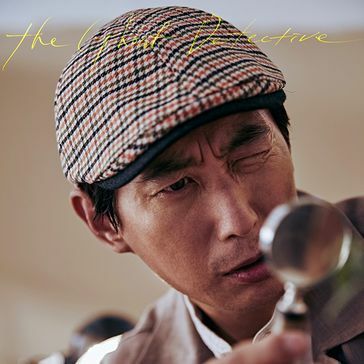 Lee Da-Il is a private investigator. Jung Yeo-Wool becomes his assistant to solve a mystery related to her younger sibling’s death. They work together to solve other mysterious crimes. Lee Joo-young takes on the role of Gil Chae-won in KBS2 new drama 'Detective of the day'/ Today`s Detective. 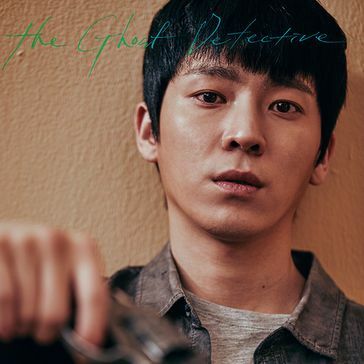 Detective of the Day' is a horror thriller drama in which a ghost detective and a human assistant meet a suspicious woman and fall into bizarre events. Daniel Choi has been offered the lead role in new KBS2 drama series “Today’s Private Investigator” (literal title). Currently, Daniel Choi is positively considering the offer. If he accepts, Daniel Choi will play the role of private investigator Lee Da-Il. “Today’s Private Investigator” will first air August, 2018 (takes over KBS’2 Wednesday and Thursday 10PM time slot after “Your House Helper.”). Choi Daniel may appear in a new drama! On April 20, his agency J-Wide Company stated that the actor is positively considering an offer for KBS’s new drama “Today’s Detective” (working title). The drama will be a horror thriller about Detective Lee Da Il and his assistant Jung Yeo Wool trying to solve the mystery surrounding the death of the detective’s younger sibling. “Today’s Detective” is scheduled to air sometime in August. Actress Park Eun Bin may act alongside Choi Daniel in a new horror mystery drama! It was previously revealed that Choi Daniel is positively reviewing the offer to play the male lead. The drama’s title was originally known as “A Few Good Men” (literal translation). 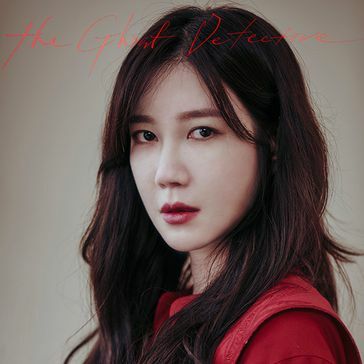 The horror mystery drama centers on private detective Lee Da Il and his assistant Jung Yeo Wool, who joins him to find out the truth behind her younger sibling’s death. Choi Daniel was offered the role of Lee Da Il, and Park Eun Bin is considering the role of Jung Yeo Wool. Actress Lee Ji Ah may join the new horror mystery drama that Park Eun Bin and Choi Daniel are also currently in talks for. On May 11, a source at Lee Ji Ah’s agency BH Entertainment shared that Lee Ji Ah is positively considering the offer to appear in KBS 2TV’s new drama “Today’s Detective” (working title) after tvN’s “My Ahjusshi,” the drama she’s currently starring in, comes to an end. “Today’s Detective” is a horror mystery that tells the story of a ghost detective Lee Da Il and a human assistant Jung Yeo Wool. Choi Daniel is in talks for the role of Lee Da Il while Park Eun Bin is considering the role of Jung Yeo Wool. Lee Ji Ah has been offered the part of Sun Woo Hye, a mysterious woman who appears at every crime scene. The agency's BH Entertainment official said on May 11, "Lee Ji Ah has recently received a proposal from KBS 2TV's new drama 'Today's Detective'. "We are receiving proposals from many works. I'm going to accept a good work, so I guess the next work will be decided accordingly. " The media said the Lee Ji Ah appears on 'Today's Detective'. According to the media, Lee Ji ah decided to cast in 'Today`s Detective' as her next film. [Orion's Daily Ramblings] Choi Daniel and Park Eun-bin May Join Horror Thriller Drama "Today's Detective"
Since the potential casting of the other recently announced horror drama is keeping me away like the plague, I'm very happy to bring you a potentially lovely casting for a new horror thriller drama called "Today's Detective". The series is courting Choi Daniel and Park Eun-bin as leads, both of whom are considering the offer positively. Some of the child actress uploaded their Instagram with their first shot in this drama. OMO...they've started to shoot already....can't wait!!! they all r so cute in school uniform. Daniel Choi is cast in KBS2 drama series “Today’s Private Investigator” (literal title). For the drama series, Daniel Choi will play lead male character Lee Da-Il. He works as a private investigator and he will even catch ghosts. The genre of the drama series is horror-thriller. Lee Da-Il will work with a female assistant (Park Eun-Bin has been offered that role and she is still considering). “Today’s Private Investigator” first airs August, 2018 in South Korea. Wow....That's what I wanted to hear all these days..!!!! Choi Daniel is back can't wait to see shooting pics!! How about the first script reading? any dates have been finalized? Park Eun-Bin is cast for the lead female role in KBS2 drama series “Today’s Private Investigator” co-starring Daniel Choi. For the drama series, Park Eun-Bin will play Jung Yeo-Wool. She was as an assistant to private investigator Lee Da-Il (Daniel Choi). She gets involved in mysterious cases. Lee Ji Ah confirmed to jopin KBS drama Today`s Detective. "I am delighted to welcome you with a new a work, and I am very excited to challenge myself in a role of a new genre. I will try to show good performances in works that many people can enjoy. I will do my best to become a well-made drama to be talked about this summer. " Lee Ji Ah has been confirmed to star in a new horror thriller drama along with Choi Daniel and Park Eun Bin. KBS’s new Wednesday-Thursday drama “Today’s Detective” (working title) tells the story of detective Lee Da Il, who chases after ghosts, and his energetic assistant Jung Yeo Wool. The two are dragged into a bizarre case as they encounter a mysterious woman called Sun Woo Hye. Choi Daniel takes on the role of Lee Da Il while Park Eun Bin plays Jung Yeo Wool. Sun Woo Hye appears in every scene that Lee Da Il and Jung Yeo Wool visit to investigate, adding tension to the drama. Her trademark is a red dress, and just a silhouette of her dress will be enough to make viewers get chills as the story progresses. On the heels of Daniel Choi’s (Jugglers) casting in upcoming horror-thriller Today’s Private Eye, we’ve got two more announcements rounding out the main trio in the KBS project: Park Eun-bin (Age of Youth 2) and Lee Jia (My Ajusshi) have both confirmed roles in the show as the detective’s assistant and a mysterious woman in red, respectively. Park Eun-bin will be playing Jung Yeo-wool, the determined and plucky assistant to Daniel Choi’s detective Lee Da-il. Yeo-wool starts out as a part-timer at the private eye’s offices and gets swept up in a bizarre case. She has ten years of part-time experience under her belt, which gives her a certain toughness and instinct that will aid her in solving these mysteries. There’s an air of mystery that surrounds her character as well, and it sounds like she approached the private eye with a hidden objective. 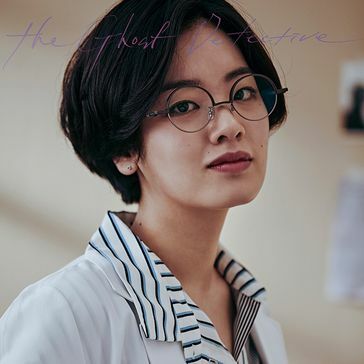 I’m intrigued and slightly creeped out by Lee Jia’s character just from the description given in the reports, which is a good sign for the show, given its thriller premise. Her character doesn’t have a name, but she will lead Lee Da-il and his assistant Jung Yeo-wool further into the middle of a strange case. She keeps showing up as the pair investigates their cases, always sporting her signature red dress. She’s described as the key to the main mystery, and will cast a long shadow over the main leads’ cases. @larus Thanks. 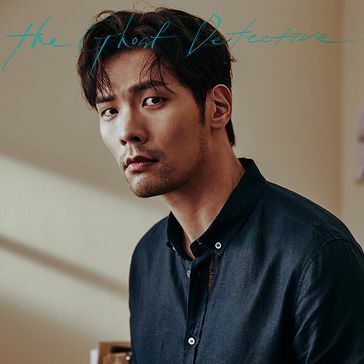 I saw the title has ' Today's Detective' I actually thought it's True Detective; I thought it's another one of those adapted from tv series or movie. . Hoping this more suspense than 'horror ghost type' I like a mystery thriller drama! I'll be checking this. My excitement growing.......Thank you @larus for each and every update on this thread!! The cast is so great. I hope the plot will be great as well.... definitely waiting for this drama. Wish it would be a hit for KBS2. How about the first script reading? any dates have been finalized for shooting? Hopefully think they are gonna start working on it soon. Keep updating friend!!! You are doing a great job...!! Hoping this more suspense than 'horror ghost type' I like a mystery thriller drama! I'll be checking this. It looks interesting. I find very intriquing Lee Ji Ah`s role. I have a feeling she will play a ghost but we`ll realised that after some time. How about the first script reading? any dates have been finalized for shooting? Hopefully think they are gonna start working on it soon. I don`t know when we`ll have the script reading pictures. For the shooting I think they will start soon. We saw that the child actors have started filming already and the first scripts are available. WOOWW!! Getting interested day by day....! 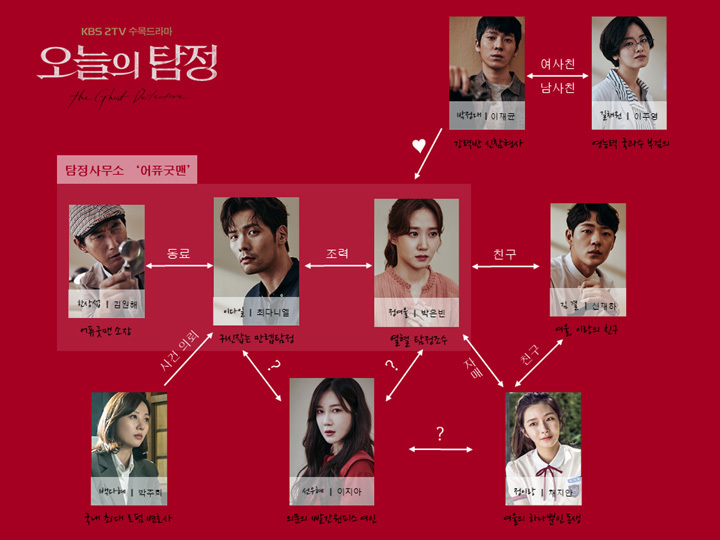 Hope it won't be too scary, b'cause I am afraid of ghost dramas But I am a huge fan of Choi Daniel, and Park Eun bin looks great as well....!! And those little kids seems to be a big part of the drama. So much cuteness gathered I think they are gonna start the shooting soon, since August is on its way...!!! Definitely waiting for this drama...!!!!!!!!! OMO!!!! OMO!!!! So many chingus Welcome chingus!!!! I am a huge Choi Daniel fan as well. Hope we'll have a fun time ahead!!!! I think the detective role perfectly suits his manly personality!!!!! I am so into this drama...!!!! (no regrets if there's no romance at all). This will be a tootally different experience for Choi Daniel's fans!!!! !